Trinidad and Tobago fraudster, Anthony Nestor, was today instructed by the court to pay Brandsville Hotel $260,824 and also to pay a court fine of $100,000, or serve a 36 month prison sentence, after which he will de deported. City magistrate Judy Latchman handed down the ruling today, which was due a few days ago. The ruling could not proceed then because Nestor reportedly told the court he was Guyanese, and that a birth certificate would be delivered to the court to prove same. Immigration authorities were reportedly consulted in the matter. Magistrate Latchman, before making the ruling, asked Nestor if he was a Trinidad and Tobago national, to which he responded in the affirmative. Latchman informed Nestor he lied to the court saying he was Guyanese on a previous occasion. He offered to clarify saying that he grew up in Guyana but has a Guyanese birth certificate. Nestor’s charge was that between April 1 and April 15, 2016 at Campbellville Georgetown, he incurred a debt of GYD$260,824 at Brandsville Hotel. The charge continued that Nestor falsely pretended that he had a valid credit card to pay those expenses at the hotel, knowing that was not true. The card belonged to one Wilfred Brandford. Another charge was read against Nestor last year that between August 15 and August 18, 2016 at Campbellville, he incurred a debt of GYD$66,898 at Opus Hotel. He again pretended to have a valid credit card to pay the charges incurred at the hotel, knowing same to be false and the card was the property of Wilfred Brandford. The status of the second charge is unknown by this news entity. The 28-year-old Trinbagonian was represented last year by Attorney-at-law James Bond. 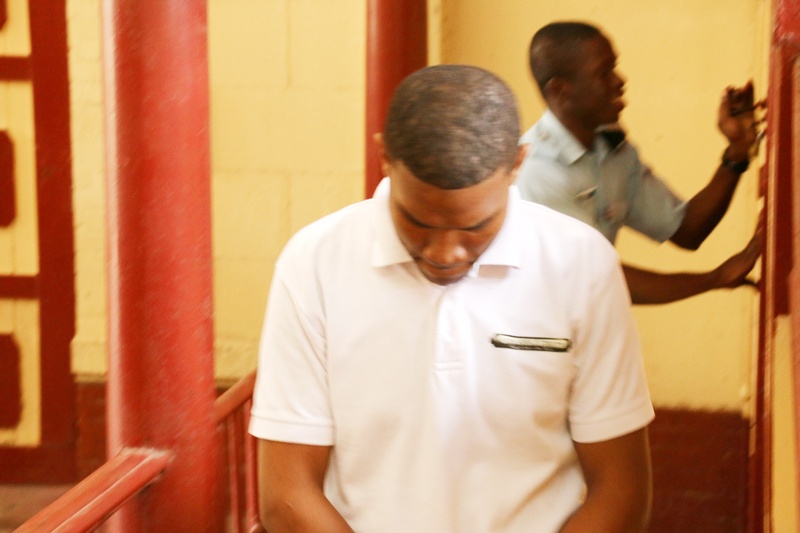 Bond had told the court last year that his client is planning to get married on November 13, and is preparing to launch the Guyana School of Etiquette. Latchman had remanded Nestor to prison, denying the bail application made by his attorney. Nestor was unrepresented today in court, when the sentence was read against him. The magistrate questioned whether he had other matter in the twin island Republic. He responded in the negative. After she asked him again, Nestor finally admitted he had vehicle matters but refused to say what those matters are, telling the court his lawyers are dealing with it. Latchman told Nestor he would have to repay Brandsville Hotel as well as pay the court fine or serve the 36 month prison sentence. She told him he would be deported after so he could see what other Court matters he has in Trinidad and Tobago.